Finding the ideal college match is considerably harder for individuals with physical, learning, psychological, and cognitive disabilities. Although the American Disabilities Act (ADA) of 1990 protects students with special needs from discrimination on any campus, some universities aren’t as disability-friendly as others. One survey found that just 86 percent of U.S. institutions enroll learners with diagnosed impairments. Attending a college with a track record of accommodating exceptional students is beneficial because nearly two-thirds of young adults with disabilities don’t finish their degree. That’s problematic since bachelor’s degrees provide an average lifetime advantage of $1 million over high school grads. Luckily, students with disabilities can beat the odds and maximize their career potential by choosing the right school. We’ve created the following article the Top 20 Colleges for Students With Special Education Needs. Forming our ranking began with an online search of universities with strong, effective programming for disabled learners. We looked beyond minimum ADA accessibility requirements to find colleges paving the way for equal opportunity. Each prospective school had to include a fully-equipped disability center offering free accommodations, even if extras were available for added tuition. Being regionally accredited for high-quality, transferrable education was mandatory. Preference was given to disability-friendly colleges with top rankings in the U.S. News and World Report, especially for student support. Other factors included financial aid, academic choice, graduation rate, technology, faculty credentials, and personalized attention. Endowed for $1.25 billion, the University of Iowa is a public, space-grant RU/VH institution in the Big Ten Academic Alliance that’s educating over 33,300 Hawkeyes in Iowa City. The U.S. News ranked Iowa the 82nd best university and 33rd top public college nationally. Students with disabilities can be empowered with a two-year, transitional certificate from the UI REACH Program. The Student Disability Services (SDS) Center also offers accommodations within Iowa’s 200+ majors, such as the Music B.A. and Geoscience B.S. Learn more about the University of Iowa’s College For Students With Special Education Needs here. Classified as a public, sea-grant RU/VH institution, the University of Michigan educates over 44,700 Wolverines of various ability levels in Ann Arbor, Detroit, Flint, and Dearborn. According to the U.S. News, UMich is America’s 27th best university and ninth most innovative school. The 14 undergraduate schools offer 265+ majors from Judaic Studies to Drama. In Haven Hall, the Services for Students with Disabilities (SSD) offers free accommodations, including Modern Language Aptitude Testing. Dyslexic students could obtain the Karine Eide Memorial Scholarship. 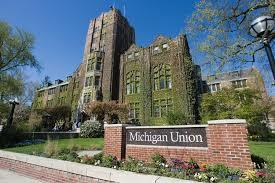 Learn more about the University of Michigan’s College For Students With Special Education Needs here. Officially bilingual with English and ASL used, Gallaudet University is a private, federally-chartered institution serving over 2,200 deaf and hard-of-hearing students in Washington, DC. 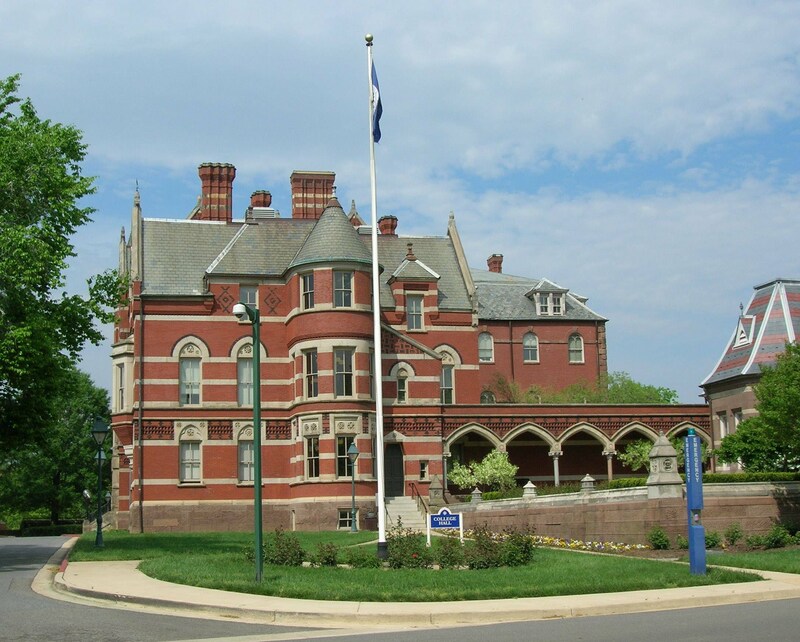 The USNWR recognized Gallaudet as the North’s 16th best school and top value. Hearing impaired students can choose from 30 bachelor’s, including the Government B.A. and Interpretation B.A. 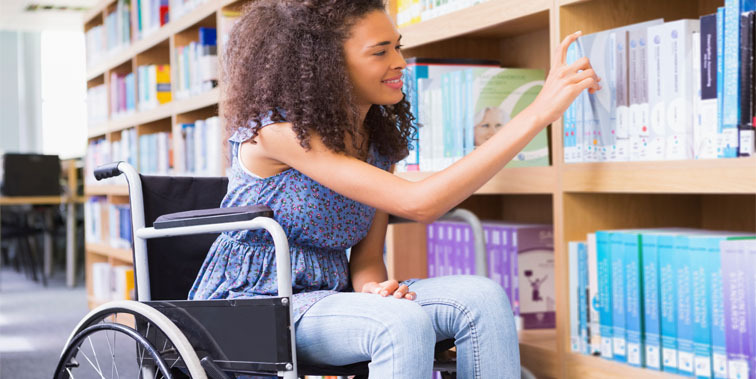 The Office for Students with Disabilities (OSWD) provides various accommodations from Braille textbooks to guide dogs and wheelchair repair service. Learn more about Gallaudet University’s College For Students With Special Education Needs here. Enrolling over 42,400 Trojans, the University of Southern California is a private, sea-grant AAU member endowed for $4.6 billion in Los Angeles’ University Park district. 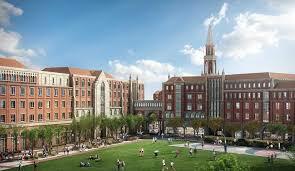 USC was ranked America’s 23rd best university and 56th top value by the U.S. News. The Office of Disability Services and Programs (DSP) accommodates special needs with note taking, extra testing time, assistive technology, and more. These help finish USC’s 95+ majors, such as the Astronomy B.S. and Political Economy B.A. Learn more about the University of Southern California’s College For Students With Special Education Needs here. Established in 1898, Northeastern University is a private, non-sectarian RU/VH institution rooted in cooperative education to teach over 24,900 Huskies in Boston’s Fenway neighborhood. 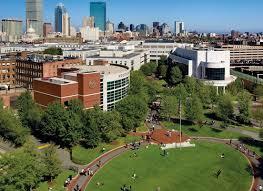 The U.S. News ranked NEU as the 39th best national university and seventh most innovative school. Located in Dodge Hall, the Disability Resource Center is well-known for its comprehensive Learning Disabilities Program (LDP), which costs $2,750 per semester. Basic accommodations are free within Northeastern’s 150+ majors from the B.S. in Psychology to B.S. in Physics. Learn more about Northeastern University’s College For Students With Special Education Needs here. Chartered by Congress under President Harrison in 1893, American University is a private, nonprofit Methodist institution enrolling over 12,100 Eagles in Washington, DC. The U.S. News applauded American as the country’s 74th top university and 66th best value. Undergrads with disabilities benefit from free accommodations in AU’s 100+ majors from Economics to Spanish Studies. For a one-time $4,500 fee, there’s also the Learning Services Program (LSP) for freshmen with weekly meetings, peer mentoring, course advising, and writing assistance. Learn more about American University’s College For Students With Special Education Needs here. Based on 1,133 rural acres in Carbondale, Southern Illinois University is a flagship public, research hub endowed for $111.6 million with more than 15,900 Salukis. 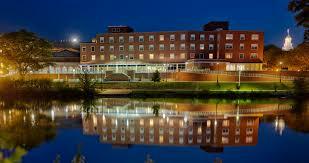 The U.S. News placed SIU as America’s 214th best university and 122th top public college. Southern Illinois’ 10 schools hold HLC-NCA accreditation for 300+ programs, including a Dental Hygiene B.S. and Theater B.A. The Disability Support Services (DSS) provides free programmatic help for hearing, visual, learning, psychological, and mobility impairments. Learn more about Southern Illinois University’s College For Students With Special Education Needs here. Belonging to the Pac-12 Conference, the University of Arizona is a public, co-educational RU/VH institution with over 43,000 Wildcats studying in Tucson. 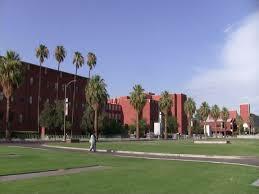 According to the USNWR, Arizona is the 124th top university and 60th best public college nationwide. The Disability Resource Center supports special needs in UA’s 334 fields of study like the B.A. in Education and B.S. in Animal Science. There’s also the SALT Program for $2,800 per semester for tutoring and life skills workshops with strategic learning specialists. Learn more about the University of Arizona’s College For Students With Special Education Needs here. Featuring the National Technical Institute for the Deaf, the Rochester Institute of Technology is a private, doctoral-granting research powerhouse with 16,800 Tigers studying in western New York. 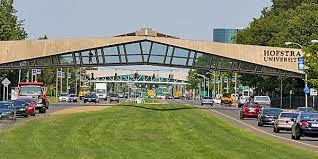 The U.S. News crowned RIT the 107th best national university and 33th top value. The Academic Support Center offers various special needs services for RIT’s 200+ programs, such as the Accounting B.S. or Bioinformatics B.S. Extra, weekly support is available for $660 per semester via the highly esteemed EMPOWER Program too. Learn more about the Rochester Institute of Technology’s College For Students With Special Education Needs here. Named a “Public Ivy,” land-grant RU/VH institution, the University of Connecticut enrolls over 32,000 Huskies on its campuses in Storrs, Mansfield, and Stamford. The USNWR congratulated Connecticut as America’s 60th best university and 20th top public school. Accommodations for UConn’s 100+ majors, such as the Geography B.A. and Marketing B.S., are offered freely by the Center for Students with Disabilities. Learning disabled students can also join the Beyond Access Program for $1,800 per semester for social skills training, career preparation, and more. Learn more about the University of Connecticut’s College For Students With Special Education Needs here. Noted for recruiting first-generation, disadvantaged students, DePaul University is a private, Catholic liberal arts institution with enrollment over 22,900 in Chicago’s Lincoln Park. The U.S. News ranked DePaul as America’s 124th best university and 70th top value. The Center for Students with Disabilities (CSD) offers individualized accommodations for DePaul’s 130+ majors like the Animation B.A. and Neuroscience B.S. Students with learning disabilities, including ADHD, also benefit from the year-round Productive Learning Strategies (PLuS) program. 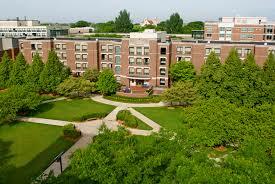 Learn more about DePaul University’s College For Students With Special Education Needs here. As Long Island’s largest private, non-sectarian institution, Hofstra University utilizes a $411.7 million endowment to educate 10,800 diverse students in Hempstead. According to the USNWR, Hofstra is America’s 133rd best college and 89th most veteran-friendly school, including those disabled in combat. Hofstra’s 10 divisions offer 120+ degrees like the B.A. in Urban Ecology and B.A. in Japanese. In the Mack Student Center, Student Access Services offers several accommodations and the fee-based Program for Academic Learning Skills (PALS). 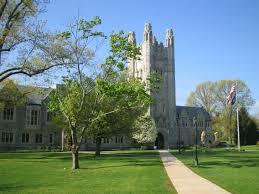 Learn more about Hofstra University’s College For Students With Special Education Needs here. Affiliated with the Presbyterian Church (USA), the University of the Ozarks enrolls 680 Eagles as a private, Christian nonprofit located in Clarksville, Arkansas. The U.S. News ranked Ozarks the South’s third best university and top value. With a 100 percent referral rate, the Jones Learning Center (JLC) fulfills special needs with ASD support, peer tutoring, assistive, technology, and academic skills workshops. Ozarks’ close-knit community assists disabled learners through 31 programs of study, including Biology and International Business. Learn more about the University of the Ozarks’ College For Students With Special Education Needs here. Opened in 1878, Creighton University is a private, co-educational Jesuit institution enlightening over 8,400 faithful Bluejays from its 140 urban acres in Omaha, Nebraska. The USNWR placed Creighton as the Midwest’s best regional university and third most innovative school. Across Creighton’s nine colleges, 72 percent of applicants are accepted into 50+ majors like the Mathematics B.S. and Theology B.A. Special education, accessible housing, and counseling needs are readily fulfilled by the Office of Disability Accommodations (ODA). Learn more about Creighton University’s College For Students with Special Education Needs here. Occupying 152 acres on the Spokane River in eastern Washington, Gonzaga University is a private, co-educational Catholic AJCU member enrolling over 7,300 Bulldogs. The U.S. News honored Gonzaga as the West’s fourth best university and 13th top value. In Foley Center Library, the Disability Access Office offers auxiliary academic and housing aids, including class note takers. Students with special education needs can feel confident entering Gonzaga’s 92 programs like BBA in Entrepreneurship and B.A. in Sociology. 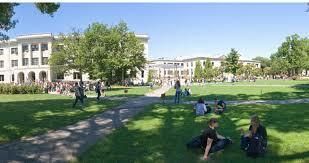 Learn more about Gonzaga University’s College For Students With Special Education Needs here. Attracting over 12,200 Knights, Fairleigh Dickinson University stands in Teaneck and Madison as New Jersey’s largest private, non-sectarian institution. According to the U.S. News, FDU is the North’s 67th best university with a 14:1 student-faculty ratio. The Regional Center for Learning Disabilities (RCLD) in Hennessy Hall offers free accommodations, such as tech support and priority registration. A two-semester Course for Success could improve students’ ability to finish FDU’s 140+ degrees like the Chemistry B.S. and Humanities B.A. too. 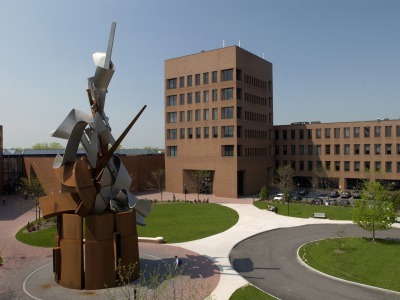 Learn more about Fairleigh Dickinson University’s College For Students With Special Education Needs here. Regionally accredited by the HLC-NCA, Marshall University is a public, co-educational research institution located in Huntington, West Virginia, with a Thundering Herd of over 13,600. 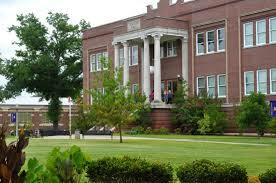 The U.S. News distinguished Marshall as the South’s 47th best college and 16th top public school. Free accommodations in the Office of Disability Services are available for Marshall’s 57 bachelor’s programs, including the Forensic Chemistry B.S. and Nursing B.S. The Higher Education for Learning Problems Center also offers extra, fee-based support like skills development. 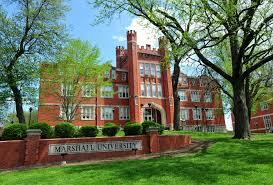 Learn more about Marshall University’s College For Students With Special Education Needs here. Nestled in West Texas just 150 miles from Fort Worth, Abilene Christian University is a private, nonprofit CCCU member affiliated with the Churches of Christ and serving over 4,400 Wildcats. The U.S. News ranked Abilene Christian as the West’s 18th top college and 12th best value. With a 90 percent graduation rate, the Alpha Scholars Program offers coaching, tutoring, and disability accommodations. Upward Bound could prepare students for ACU’s 70+ SACS-accredited majors from the B.S. 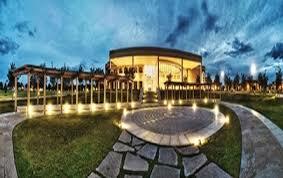 in Agribusiness to B.S. in Nutrition. Learn more about Abilene Christian University’s College For Students With Special Education Needs here. Founded by Mother Eagan in 1926, Mercyhurst University is a private, Catholic liberal arts institution serving more than 4,400 Lakers in Erie, Pennsylvania. The U.S. News recognized Mercyhurst as the North’s 61st best college and 37th top value. For 30 years, the Learning Differences Program (LDP) has provided free academic adjustments and in-depth support for $2,450 annually. The Summer PASS can help stay on track for Mercyhurst’s 50+ majors, such as the B.A. in Intelligence Studies and B.A. in Social Work. Learn more about Mercyhurst University’s College For Students With Special Education Needs here. Endowed for $42.4 million, West Virginia Wesleyan College is a private, Methodist liberal arts institution attracting over 1,450 Bobcats from 26 countries to Buckhannon. 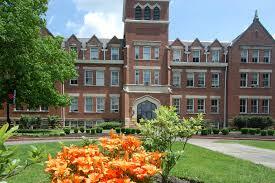 WVWC stands as the South’s 47th best university and fifth top value according to the U.S. News. The Learning Center grants free disability support 12.5 hours daily for West Virginia Wesleyan’s 43 majors, including Political Science and English. There’s also a fee-based Mentor Advantage option with advisers applying the Lindamood-Bell approach. Learn more about West Virginia Wesleyan College’s For Students With Special Education Needs here. This entry was posted in University Rankings on February 28, 2017 by tjentz.